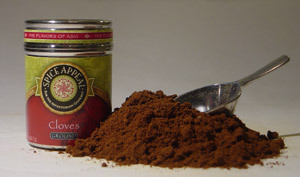 An ancient Moluccus native spice dating back to as early as 200 B.C. This sharp, bitter and pungent taste adds a wonderfully fragrant flavor to baked ham, sausages, pot roasts, cured meats, red cabbage, desserts and salad dressings. Creates a caramelized flavor to carrots, beets and potatoes. Complements Chinese Five-Spice blends that are used to flavor barbecued meats or pork.